I'm trying to get a particular article and it won't let me open it. What's going on? - Ask Us! Q. I'm trying to get a particular article and it won't let me open it. What's going on? 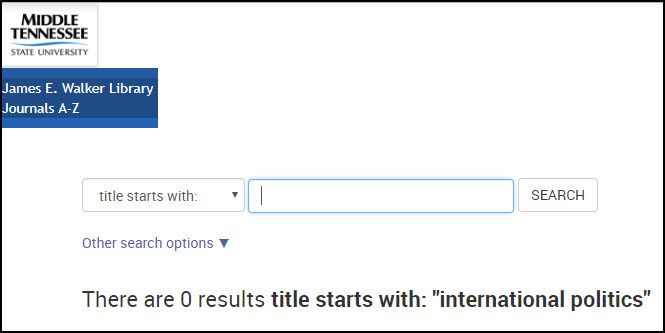 While many full text articles can be found when searching a database, some are not available in full text. If you run across an entry with an icon like the one below, it means that JEWL Search or another article database may have made a match, but the match isn't as definitive as it needs to be. It might be an issue with the publisher/vendor or perhaps an error in the database. It can also mean that the Library just doesn't have access to the content. The page you're directed to is a "next step" page as far as suggesting alternative ways to locate the full text of the article, such as Journals A-Z or Interlibrary Loan. However, by clicking on the Check Availability link, you can see options for trying to locate the article. 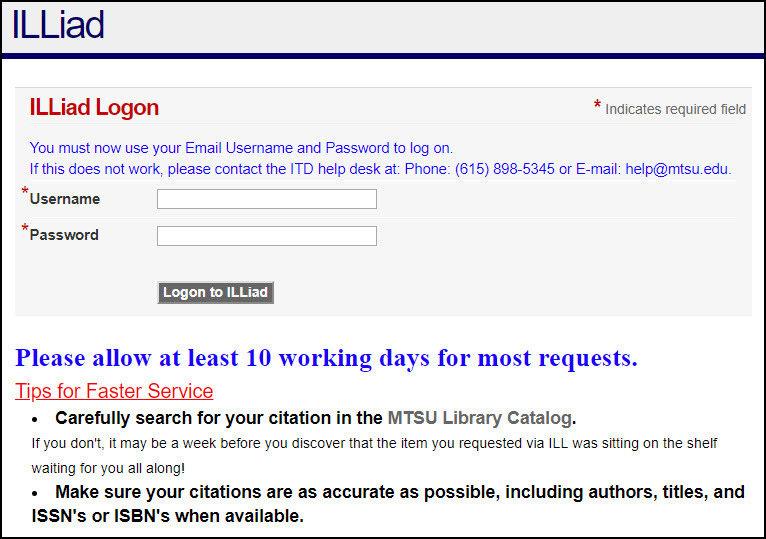 Journals A-Z allows you to search for the journal title to see if the Library may have print issues available. 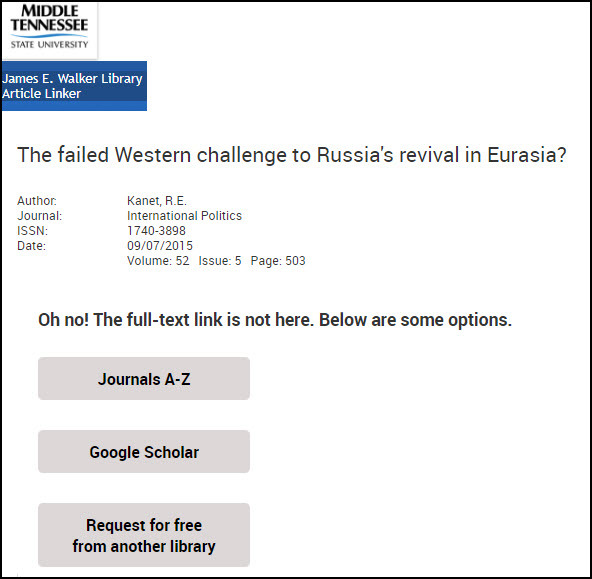 If you see a screen similar to the one below, it means the Library does not have access to the journal. Click on the "Request for free from another library" link to use Interlibrary Loan to request items Walker Library does not have. Fill in the form with the requested information.